OK, I admit it. I’m a steam locomotive book junkie. I have almost 70 books on steam locomotives. Not the ones you get today at the bookstore (or Amazon), with pretty pictures of engines and trains, but little information. I’m talking about the ones that you’d have to study back in the last century if you wanted to know how to actually operate a steam locomotive. One series in particular—from the International Correspondence School, or ICS—was a complete course on locomotive operation. A great resource if you can find them. Which brings us to today. Over the last few years, Preston has been working on his pet project—the Disneyland Railroad computer simulator. I have often commented on just how authentic this simulator is. To the point that I believe this simulator might be a powerful training tool for new employees on the Disneyland Railroad. But the simulator is really only half of Preston’s work. The other half is the manual Preston wrote to accompany the simulator. I mentioned my fondness for books above. The manual Preston wrote is a work that rivals the correspondence courses of old. 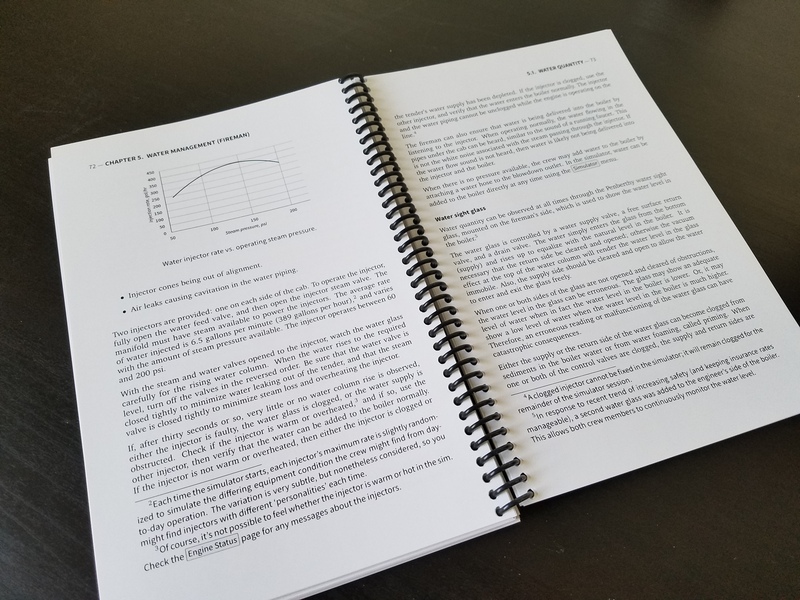 It not only explains how to operate the computer simulation, it goes well beyond. 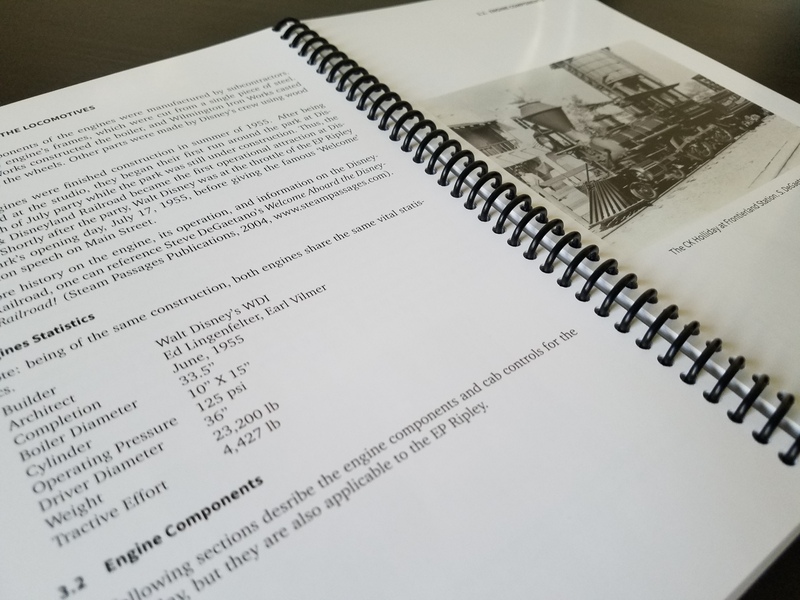 In its nearly 150 pages, you will find discussions on the physics of the steam locomotive, horsepower, the operation of the injectors, tractive effort and drag, the use of the Johnson bar and optimum cutoff, blower operation…in short, the nitty-gritty technical information you would need to know to actually operate a real steam locomotive. Throughout, you will find drawings, photos, plans and graphs to illustrate the points made in the text. The book is printed on high-quality glossy paper, with a spiral binding, so it will lay flat. This is important if you are trying to apply the concepts in the book to the simulator. 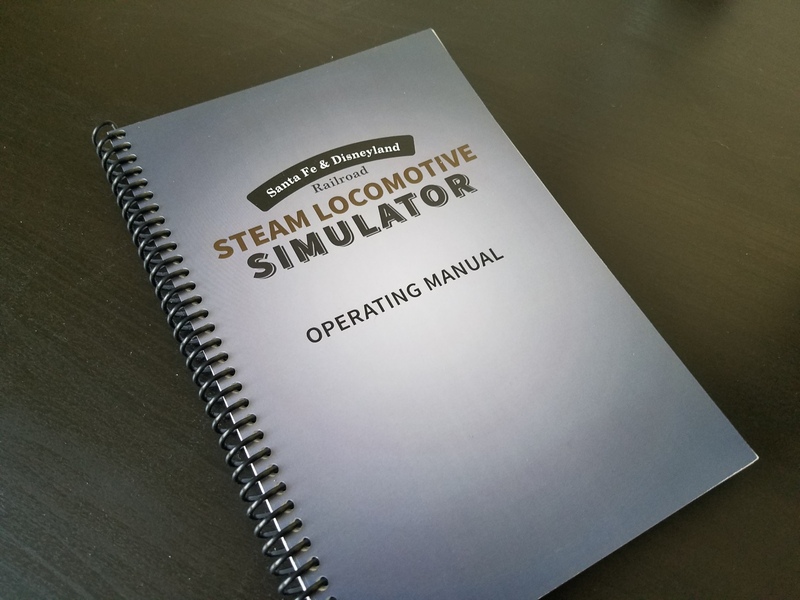 Even if you do not purchase the simulator, if you are interested in steam locomotive technology and operation—especially in relation to the Disneyland Railroad—then this book is a must-have. I keep all my historic locomotive operation books, including the ICS courses, together on the bookshelf. Preston’s manual is included in that collection. 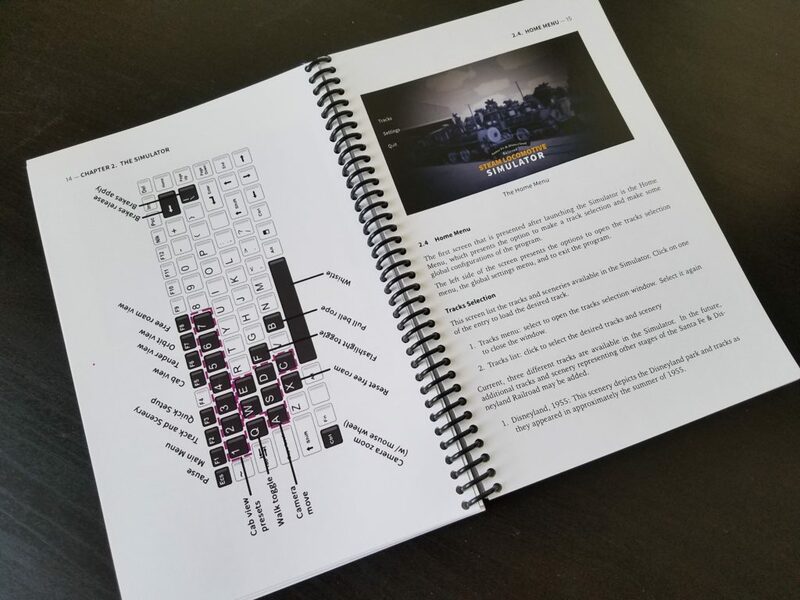 Don’t wait too long—I believe the print-edition of the manual is a limited edition. At this price, you really can’t afford not to get one. Thanks for your review, Steve!